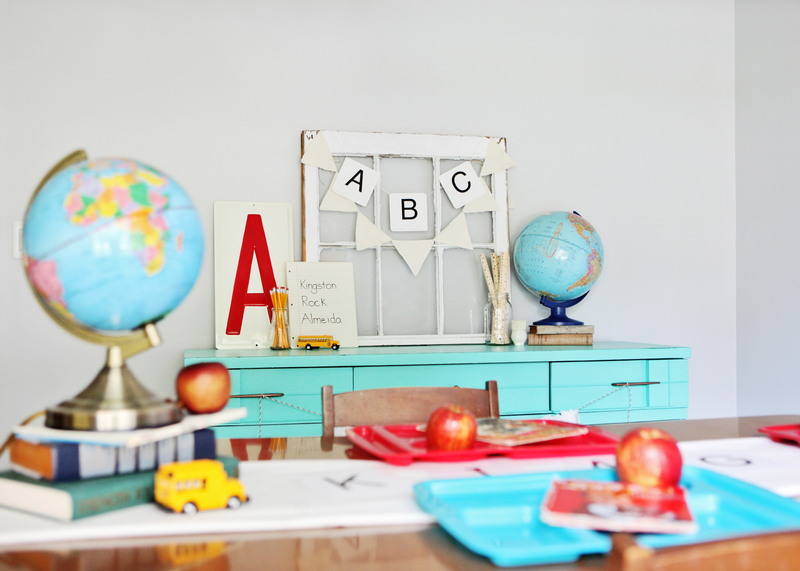 How do you celebrate a new school year? I mean, other than drinking 6 cups of coffee every morning?! Since this is our first official back to school (kindergarten!!!) 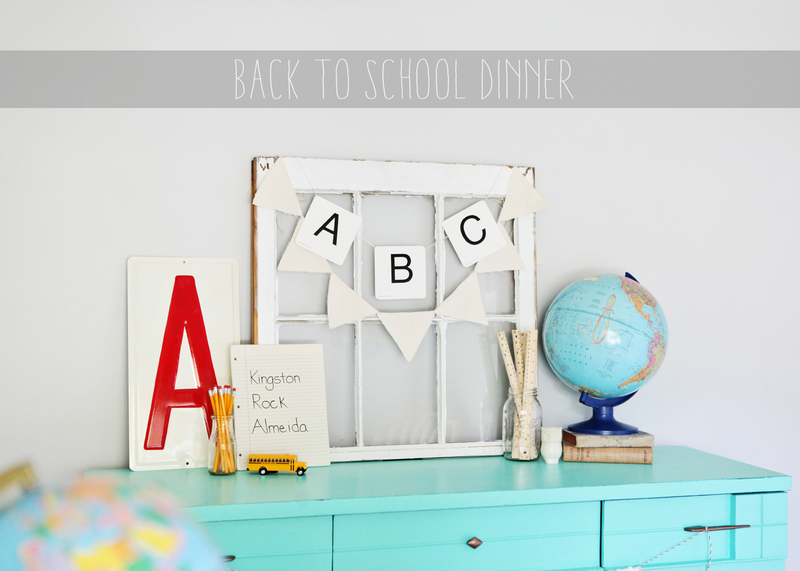 week, I thought it would be fun to celebrate with a special back to school dinner. And also, because our family is always looking for an excuse to celebrate something! 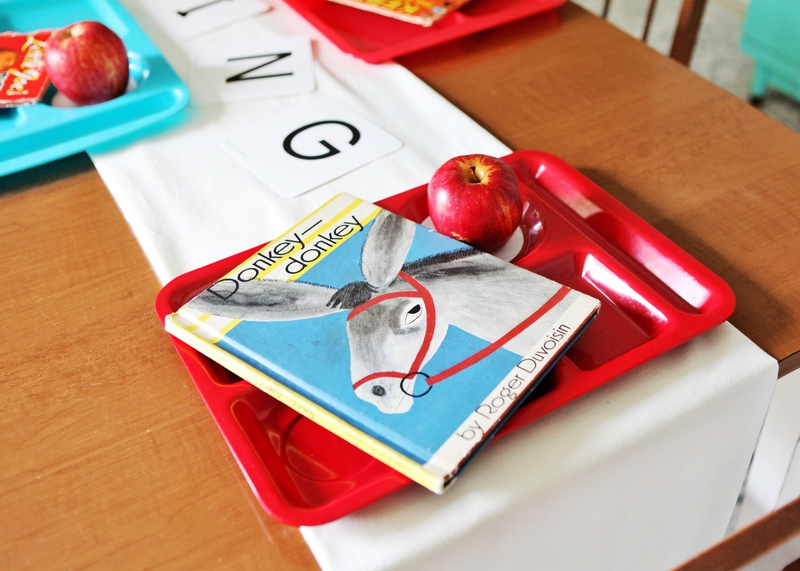 Here’s how I envisioned our back to school dinner going: Kingston would ask me to make his favorite foods, then we would sit down to a leisurely dinner where we would talk about the amazing adventure ahead, before enjoying the delicious dessert I had also prepared at his request. Then we would read one or two of his favorite books to him. Here’s what really happened: I told Kingston he could have ANYTHING he wanted for this special dinner. He requested cheesy bread sticks from Pizza Hut with a side balsamic vinegar for dipping. (He dips everything in balsamic vinegar.) Anderson went to pick up the pizza and bread sticks at Pizza Hut and had all kinds of drama with the order. By the time he got home the food was almost cold, so we quickly scarfed it down. Then I forced Kingston to eat some fruit (it made me feel better) before we ran out the door and drove to Krispy Kreme.